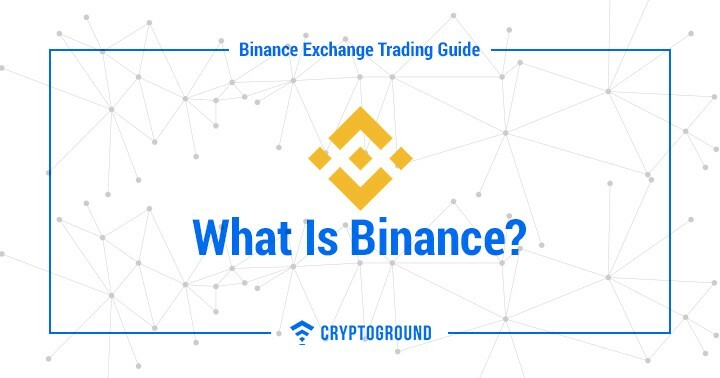 Over the course of this guide, let us take a look at what is Binance, as well as how to use the Binance exchange to trade cryptocurrencies easily. 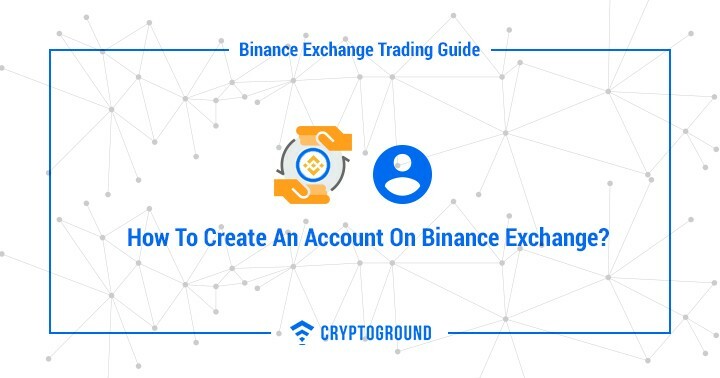 How To Create An Account On Binance Exchange? How To Secure Binance Exchange Account With 2FA Security? How To Verify Binance Exchange Account? 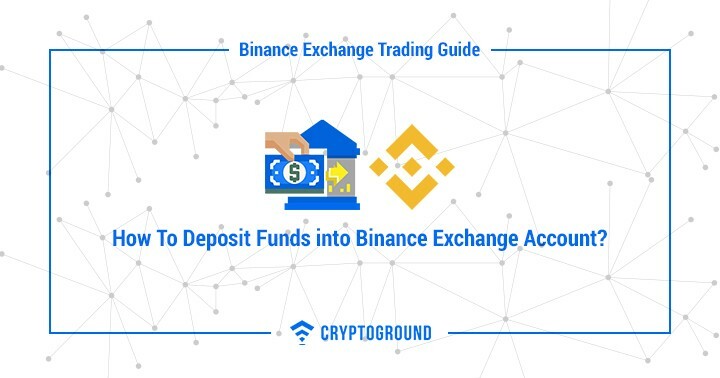 How To Deposit Funds into Binance Exchange Account? How To Transfer Bitcoin or Any Cryptocurrency From Coinbase To Binance Exchange? 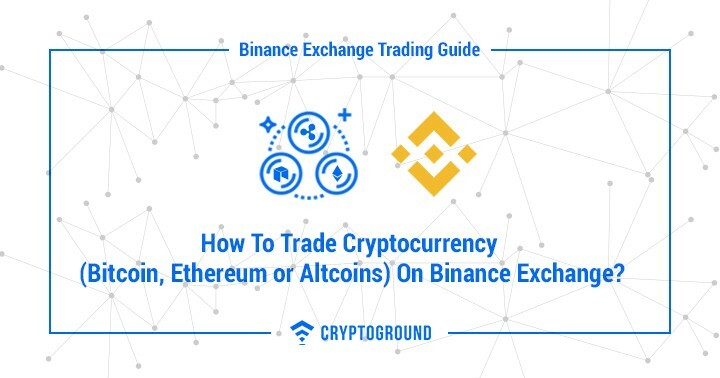 How To Trade Cryptocurrency (Bitcoin, Ethereum or Altcoins) On Binance Exchange? How To Buy Cryptocurrencies On Binance Exchange? How To Sell Cryptocurrencies On Binance Exchange? How To Buy Bitcoin On Binance Exchange? How To Withdraw Funds (Bitcoin, Ethereum or Altcoin) From Binance Exchange? How To Set Limit and Stop-Limit Orders On Binance Exchange? How to set up a Limit Order on Binance? How to set up a Stop-Limit Order on Binance? Does the Binance Exchange have a desktop application? Does the Binance Exchange have an Android application? Does the Binance Exchange have an iOS application? Is Binance Exchange a Cryptocurrency Wallet? Is Binance Exchange Safe to Trade & Store Cryptocurrencies? Binance vs Coinbase: Which is Better? Does Binance have a Referral/Affiliate program? How to Check if Binance Exchange is Down? Where is the Binance Exchange Located? What Kind of Security Measures Does Binance Offer? What is BNB - the Binance Coin? What is the Fees on Binance Deposits? What is the Trading Fee on Binance Exchange? What is the Withdrawal Fee on Binance Exchange? How to contact Binance Support? Cryptocurrencies are considered to be one of the hottest investment opportunities of recent times. A smart investment in cryptocurrencies could help you make a massive profit - often in a very short span of time! However, you need to ensure that you are trading at the right place. Binance is the one fo the best cryptocurrency exchanges avaialble in the market today. Binance is a cryptocurrency exchange which started off in July 2017. 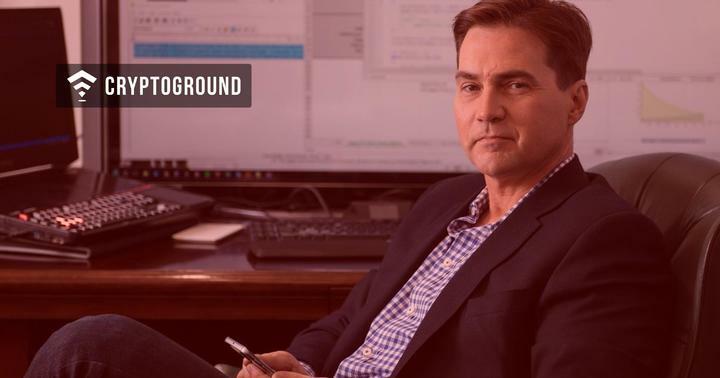 In less than a year, the exchange has risen to the top of the markets and is currently the largest cryptocurrency exchange when you consider the 24-hour trading volume. Binance allows you to trade not only Bitcoins, but a number of Altcoins as well. As of this writing, Binance supports over 310 cryptocurrencies - and their portfolio of currencies continues to grow with every passing day. In addition to offering a number of cryptocurrencies, Binance is also one of the safest places to trade at. Given that a number of cryptocurrency exchanges are being attacked by hackers these days, Binance has shown an astounding amount of resilience against these attacks and has proved on multiple occasions that it is one of the safest platforms to trade at. Finally, what makes Binance a great exchange is the fact that it is user-friendly. Regardless of the fact if you are trading cryptocurrencies for the first time or have been trading in the markets for some time now - the Binance user interface will make you feel comfortable! Binance also comes with an Android application that allows users to easily trade currencies using their smartphone. 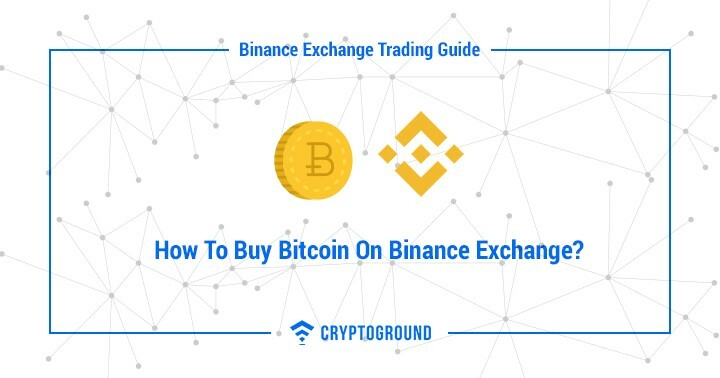 Now that you know what Binance is, let us take a closer look at how to use Binance exchange to trade cryptocurrencies on the platform. Registering an account on cryptocurrency exchange platforms can be quite a task because they usually take a long time to verify or sometimes don’t accept registrations at all! However, that is not a problem with Binance registration. Registering on Binance is straightforward. To set up and register a Binance account, you need to open the Binance website. Over there, you would find a link which says ‘Create Account’. Click on it to open the registration page. The next step would be to set up a Binance login ID and a password for your account. This ID needs to be an existing email ID which you have regular access to. The password that you set needs to be minimum of 8 characters, with at least one capital letter and one special character. Make sure you choose a strong password and remember it once you set it! Once you have registered with your ID and password, you need to verify your email ID by logging in to your email and clicking on the verification link that Binance sends you. This will verify your email with Binance. Once you complete these three steps, your Binance registration gets complete. You then need to setup 2 Factor Authentication (2FA) for additional security measures - and confirm your identity details to verify your account - we will address each of these topics over the coming chapters. 2 Factor Authentication (popularly known as 2FA) is a security measure which ensures that only you can log into your account. Basically, once you enter your email and password at the Binance Exchange login - you will then be prompted to enter another code to verify your identity on the dashboard screen with a pop-up. There are two options of 2FA that you can set up - using the Google Authenticator application or using SMS. Google Authenticator requires installing the Google Authenticator app on your phone. Every time you want to log in, you would need to enter the unique code that is displayed on the app. The SMS authentication is simpler and sends you a text message every time you log into the Binance website. 2FA is critical to secure your account and is strongly recommended. 2FA ensures that even if your password is hacked, no one would still be able to enter your account without the second code that comes on the Google Authenticator or via text message. While setting up the Binance Two Factor Authentication system, make sure that the phone number that you provide is yours and that you are in control of the Google Authenticator app on your phone. Setting up the Binance Two Factor Authentication system is critical to ensure that your account remains safe. 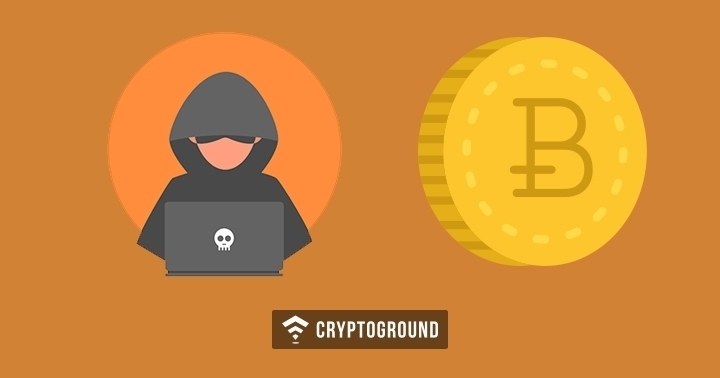 Of late, cryptocurrency crime has been on the rise and the number of hacking and phishing attacks are rising. Hence, it is essential to set up a second layer of security which ensures that even if your password is compromised - the perpetrator cannot enter your account without this additional code that comes exclusively to you in a device that is owned by you! Another essential tool for securing your account is virtual private network. VPN is widely used to securely connect to publc wi-fi while making any exchanges or transactions. Paid VPN provider helps to protect the identity and encrypt all the user's data. 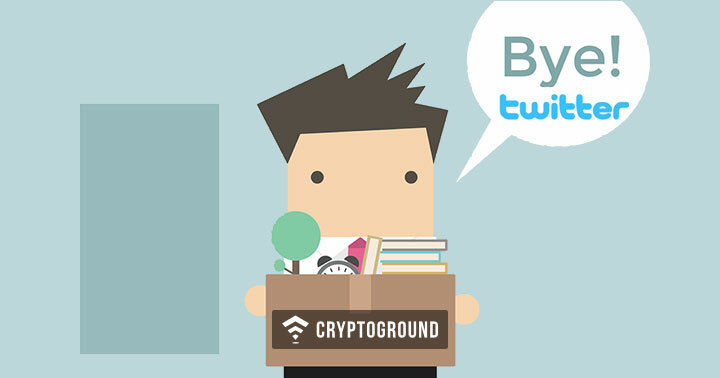 This is not compulsory as you can withdraw up to 2 Bitcoins every 24 hours even if you have not verified your profile. One of the most popular Binance features is the fact that it does not require a full-fledged verification process to start trading! However, it is compulsory for larger volumes of transaction. Verifying your profile with Binance comes with various other benefits - the biggest of which is that you are allowed to withdraw up to 100 Bitcoins in a 24 hour period! The process of verification is simple - but it might take some time. 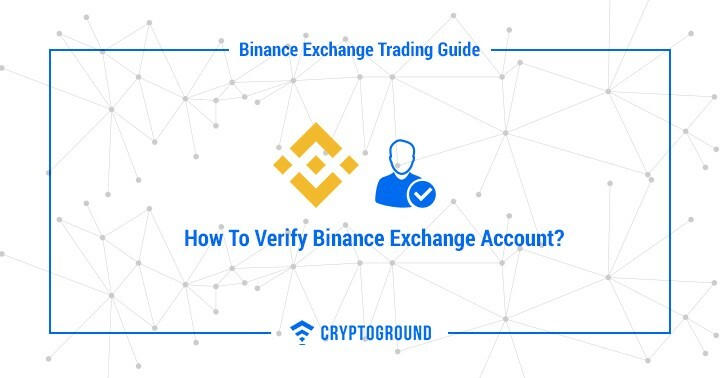 In order to get your profile verified on Binance, you need to comply with their KYC (Know Your Customer) procedure - the Binance KYC procedure - which involves providing them with some personal details such as your name and identification proof. The compliance procedure involves you uploading the front and back sides of your passport or driving license or any other national identification document. In addition to that, a selfie has to be submitted to Binance where you are holding that document - as well as a piece of paper with Binance and the current date written on that paper. Make sure that the selfie shows your face clearly and that the documents are also visible. Verification of your identity is critical when it comes to the exchange. Users need to ensure that their documentation is appropriate because in case of any disputes - these documents would be matched to settle disputes. These are additional safety measures which help the users secure their account, as well as help the exchange ensure that they are complying with all anti-money laundering practices. 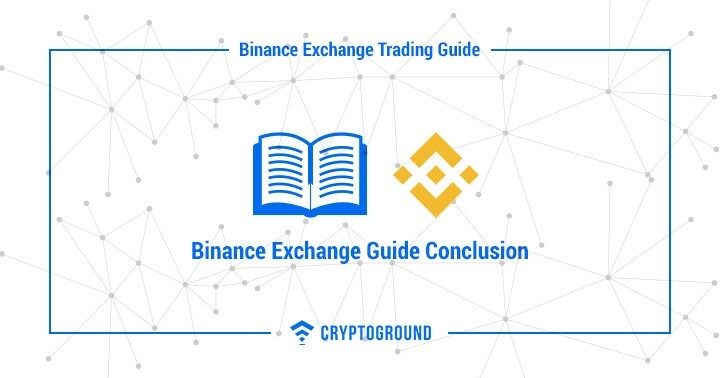 Let us begin by understanding how to deposit funds into the Binance account trading. 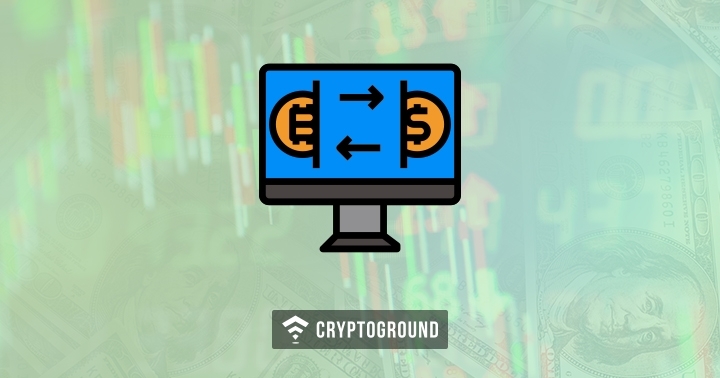 There are two types of cryptocurrency exchanges - the first allows you to trade cryptocurrencies in exchange for cash (for example, buying Ethereum via cash and selling it off to get cash). 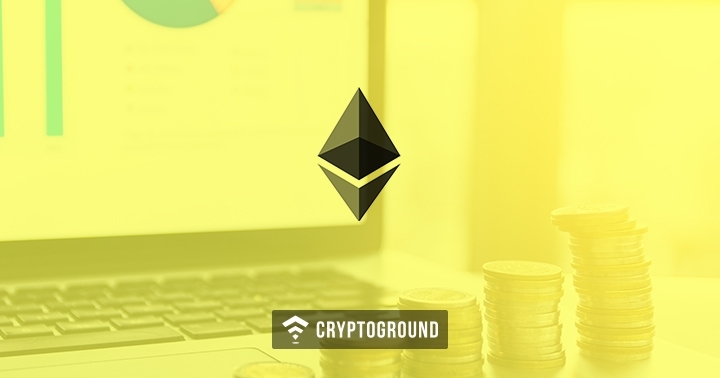 The second type of exchanges allows you to trade between currencies (For instance trading 1 Bitcoin in exchange for 12 Ethereum tokens). Binance is the second type of exchange - it allows only crypto-to-crypto transactions not involving fiat currencies. Also Read: How to buy Bitcoin using Paypal? The currency that can be used to buy multiple currencies is called a ‘base’ currency. If you are trading 1 Bitcoin for 12 Ethereum tokens, Bitcoin is the Base currency here. Basically, if you have these base currencies, you can easily trade them to get altcoins on Binance and sell them off when the time is right. You need to buy these base cryptocurrencies at an exchange which allows you to purchase via Fiat cash. 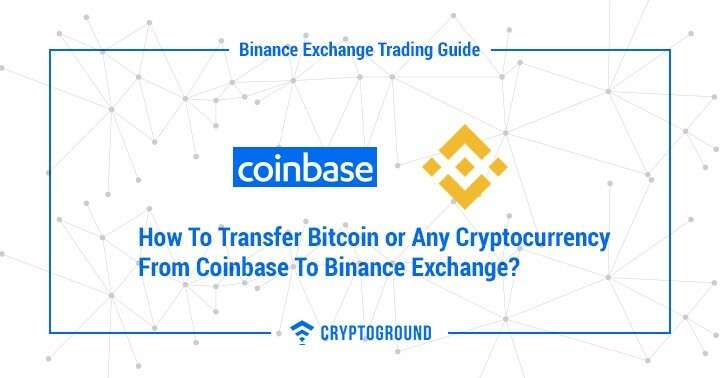 Let us take a look at how to transfer cryptocurrencies from a popular exchange - Coinbase - to Binance in the next chapter. Coinbase allows the users to purchase bitcoins and other cryptocurrencies using fiat cash easily - these currencies can then be sent over to Binance, where they can be traded in exchange for several other altcoins! In this example, we assume that you have already purchased the bitcoin or altcoins that you want to transfer to Binance on your Coinbase account. Let us take an example of how to transfer Ethereum from Coinbase to Binance. The first step is quite simple. Head over to Coinbase, click on login and enter your username and password to log into your Coinbase account. After you log in to your Coinbase account, click on ‘Accounts’. The accounts section would show the various Coinbase wallets that the platform offers and the balance that you hold on each of them. Select the Ethereum wallet - you will get two options, ‘send’ and ‘receive’. Tap on ‘send’. This would bring you to a screen where you would be asked to enter the wallet address of the recipient. 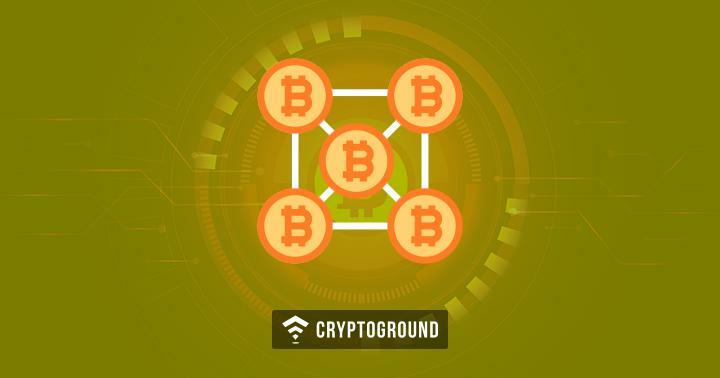 This is a step where you need to be careful as cryptocurrency transactions are irreversible and any mistake here could be quite costly! To transfer Ethereum from Coinbase to Binance, you need to find your Binance Ethereum Wallet address and provide it on the Coinbase screen. To get your Binance Ethereum Wallet address - log on to Binance and head to the section called ‘Funds’ on the top bar. In that section, select ‘Deposits’ from the Drop Down list. On the next screen, you would see a new drop-down menu with ‘Select Deposit Coin’ written on it. Open that menu and choose Ethereum. On the next page, you would see your Ethereum Deposit Address in a box written in bold font. Copy this address. Now get back to Coinbase. On the box that asks you to enter the wallet address of the recipient, paste the copied address. Following that, enter the amount of Ethereum you would like to transfer from Coinbase to Binance. You could do it in terms of USD as well as directly in terms of ETH. Once you have filled in the wallet address and the amount you would like to transfer, hit on send! It usually takes a few minutes for this process to complete and reflect on the Binance platform. Now that you know how to transfer your cryptocurrencies from other exchanges to Binance - you can now gather an initial capital into your account so that you can start trading. Trading is the most crucial aspect of Binance. While other platforms allow you to buy and sell currencies - their options may be limited. However, Binance has one of the largest exhibits of cryptocurrencies that you can buy and sell in exchange for the base currencies. How to Buy Cryptocurrencies on Binance? How to Sell Cryptocurrencies on Binance? 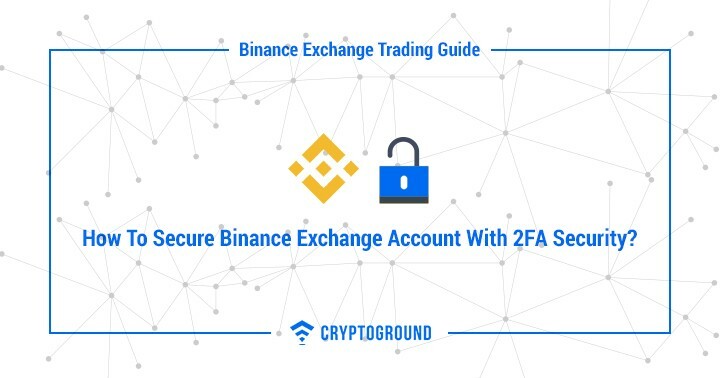 Log into your Binance account and enter your 2FA credentials. Following this, head over to the section marked ‘Exchange’ on the top-left corner, and select ‘Basic’. That brings you to the main screen of the Binance cryptocurrency exchange. On this page, you can see all the recent trade activities happening on Binance as well as the price of the cryptocurrencies. Once you are on the exchange - a lot would be happening on your screen. Don’t get confused by all the movement. Look on the right side of the page; you would find a box with BTC, ETH, BNB and USDT written on it. On that panel, there would be a small search box. Type the name of the currency you want to buy. For the sake of this example, we will purchase Verge (XVG). Type XVG in the search box and you will find the XVG/BTC pair. Click on XVG/BTC and you will be redirected to the page where you can buy the currency in exchange for Bitcoins. On the page that opens, there is a graph - below the graph, you can find three options - ‘Limit’, ‘Market’ and ‘Stop-Limit’. Select ‘Market’. You would then find a box where you could enter the amount of Verge that you wish to purchase. For example, we are purchasing 30 Verge (XVG) cryptocurrencies. After you enter the amount of Verge that you want to buy, press ‘Buy XVG’. Congratulations! Once you press ‘Buy XVG’, the transaction gets complete and your Bitcoins are spent to buy Verge. To see your balances - as to how many XVG and BTC you own - go to ‘funds’ in the top menu and from the drop-down menu that appears, choose ‘balances’. Over there you can see a list of cryptocurrencies where you will be shown how much of each you own. Once you are on the exchange - a lot would be happening on your screen. Don’t get confused by all the movement. Look on the right side of the page; you would find a box with BTC, ETH, BNB and USDT written on it. On that panel, there would be a small search box. Type the name of the currency you want to sell. For the sake of this example, we will sell Verge (XVG) - which we purchased in the previous example! Type XVG in the search box and you will find the XVG/BTC pair. Do You Know Future of Cryptocurrencies? Click on XVG/BTC, and you will be redirected to the page where you can sell the currency in exchange for Bitcoins. On the page that opens, there is a graph - below the graph, you can find three options - ‘Limit’, ‘Market’ and ‘Stop-Limit’. Select ‘Market’. You would then find a box where you could enter the amount of Verge that you wish to sell off. For example, we are selling all the 30 Verge (XVG) cryptocurrencies that we bought in the previous example. After you enter the amount of Verge that you want to sell, press ‘Sell XVG’. This would sell Verge at the going rate in the markets and convert it into Bitcoins. However, there are two more ways in which you can sell your cryptocurrencies - using a limit order and using a stop-limit order. (Refer Chapter 12.8 on how to make use of Limit and Stop Limit orders to automate your trading process). Trade the ETH or LTC tokens in exchange for BTC tokens. This is the only way you can buy Bitcoin on Binance. Considering that Binance is a crypto-to-crypto-exchange - and does not involve fiat currencies at all. It is a trading platform where you can exchange various cryptocurrencies, but if you want to buy or sell currencies using cash, you will need to use different platforms and then transfer those currencies from there to Binance. 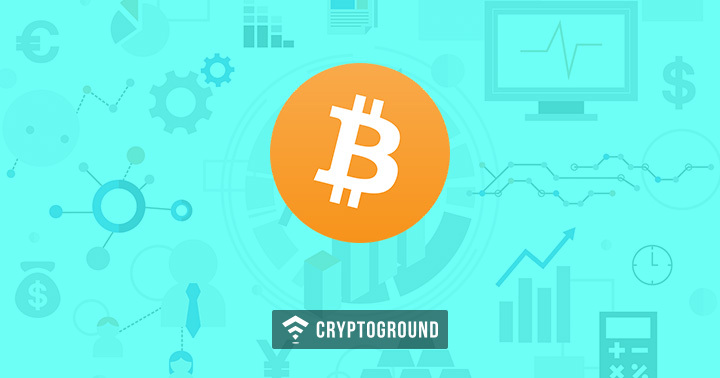 For more details on how to buy Bitcoins on Binance in exchange for other cryptocurrencies - you can refer Chapter 12.5, which explains this process in depth. 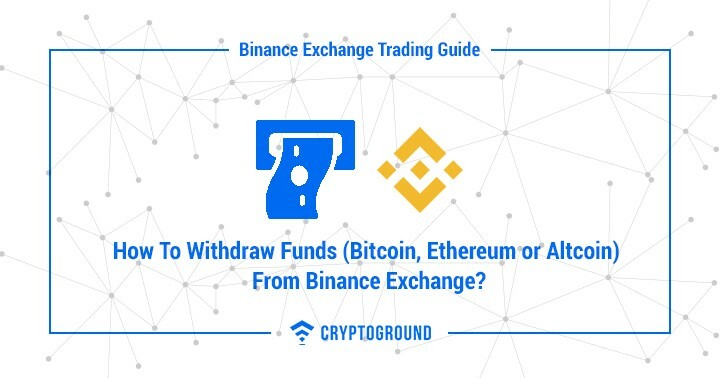 Now that you know how to deposit your currencies from another exchange to Binance, how to trade in the platform - let us now take a look at how to withdraw funds from Binance. This process of withdrawing funds from Binance is quite similar to that of Depositing funds in the platform. As has been pointed out earlier, you cannot sell off your cryptocurrency directly into fiat cash. If you want to encash your cryptocurrencies stored on to Binance, you would first have to send them from Binance to another exchange which allows the users to trade their currencies with fiat cash. Let us assume that you are sending it to your Coinbase wallet. Let us take a look at how to withdraw your currencies from Binance to Coinbase. Log into your Binance account and complete the 2FA authentication. 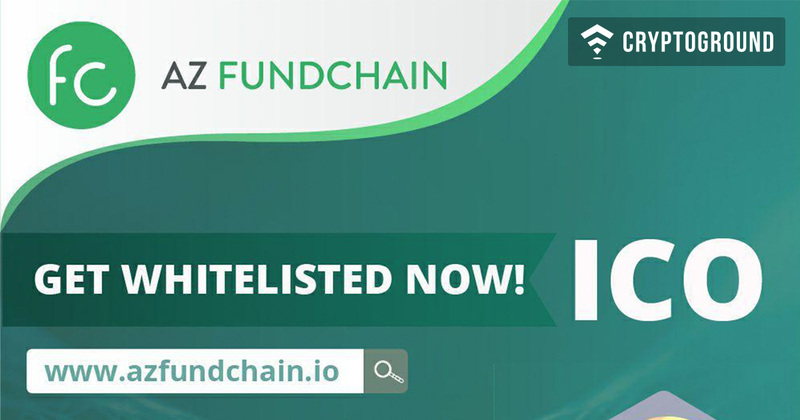 On the top menu, you will see a section marked ‘Funds’. Click on ‘Funds’ and then click on ‘Withdrawals’. In the ‘Withdrawals’ screen that appears, choose the currency that you intend to withdraw. The next screen that appears would ask you for a wallet address. Enter the wallet address as seen in your Coinbase wallet - but make sure that the wallet address is accurate and the currencies match. Enter the amount and click on Submit. 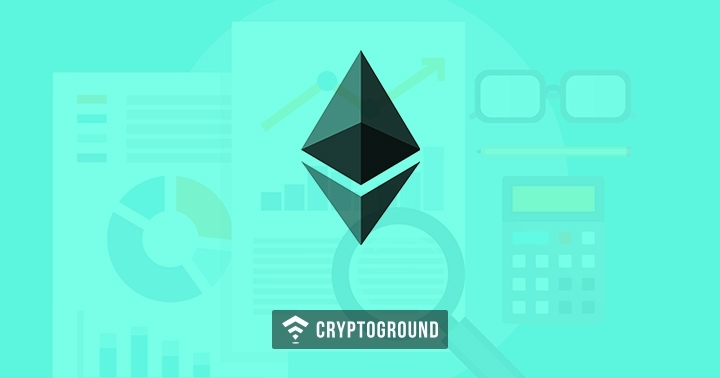 While making this transfer, please make sure that the wallet address of the currency that you are transferring to is correct and that you are sending the currency to the right wallet - i.e., Ethereum is being sent to Ethereum Wallet and Bitcoin is being sent to the Bitcoin wallet and not vice versa - if the correct cryptocurrency is not sent to the correct wallet - the funds would be lost forever, and the transaction would be irreversible. While transferring and withdrawing cryptocurrencies from binance is an easy process - this precaution needs to be taken care of. In the previous chapters, you can see how to sell a coin on Binance using the simple way in which you sell it off at the market rate. However, in addition to that, there are two other ways in which you can sell off a coin in Binance. These are using a limit order and using a stop-limit. Let us take a closer look at both these techniques. Before we get into the details of how to set a limit order on the Binance platform, let us first understand what a limit order is. Basically, when you sell a coin at the market rates, you accept to sell off the currency at whatever price the market has to offer at the moment. However, sometimes when you’re optimistic, you might want to sell off the coin at a higher rate. Considering that it is not possible to be online and monitor the prices at all the times, you can set your desired target price and place an order using ‘limit order’. Whenever the price of your currency hits that particular price point - the coins will be sold. Head over to the section on the top menu marked ‘Exchange’ and navigate to ‘Basic’. You will now be taken to the currency’s page, scroll below till you see the box to buy and sell it. In the box labeled ‘Sell XVG’, select ‘Limit Order’. Enter the price at which you want to sell the currency at and then enter the quantity of the currencies that you want to sell off. Confirm it by pressing the button that reads Sell XVG below. Let us assume that at the time of placing the order, the price of XVG was $0.053. However, you want to sell it off at a rate of $0.063. Instead of continuously monitoring the markets all the time to sell it when it hits the desired target - you could automate it using this process. Moreover, you can set multiple targets too. Let us assume you own 1000 XVG tokens - you can configure multiple selling targets - 500 XVG to be sold at $0.063 and the other 500 at $0.073 if you’re feeling more optimistic! Limit Order is quite a handy tool for investors who wish to automate their sales and invest smartly. The second way in which you can sell your cryptocurrencies on Binance is by making use of a Stop-Limit Order. 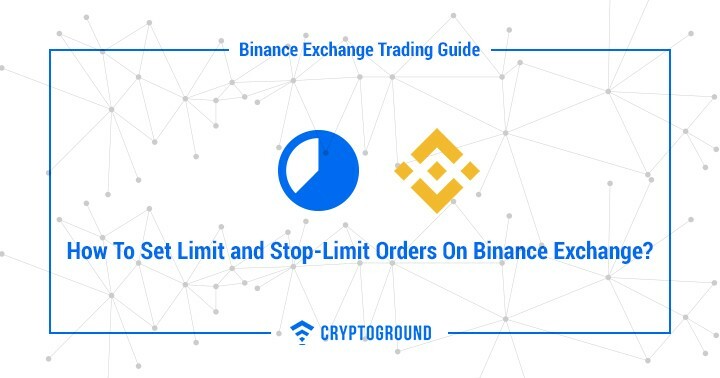 Let us take a closer look at what a stop-limit order is - as well as how to place a stop-limit order on Binance. A stop-limit order is basically what they call a ‘stop-loss’ in stock markets. It is the exact reverse of what a limit order is. A limit order is usually placed when an investor is confident that the price of their cryptocurrency is going to grow. However, a stop-limit order is placed when an investor is unsure about the future and does not want to incur a loss. A stop-limit order is like a circuit breaker which makes a sale as soon as the currency’s price drops to a predetermined low. In the box labeled ‘Sell XVG’, select ‘Stop-Limit Order’. Now here is where the situation gets a little different from a regular limit order. A stop limit order gives the users the options of setting up a ‘Stop’, a ‘Limit’ and an ‘Amount’. The Stop is basically the condition that is to be met. The Limit is the price at which an order would be placed after the Stop has been hit. Amount stands for the amount of cryptocurrencies that you want to sell off. Let us assume that at the time of placing the order, the price of XVG was $0.053. However, you feel uncertain about the markets and the risks involved. The price of XVG when you bought the currency was $0.033, and you do not want to incur a loss on it. You can then set the stop as well as the limit to $0.043 - which means you can exit the markets at a profit of $0.010 per currency even if the price continues to fall. Going by how unstable the cryptocurrency market has proven to be over the past few months, it is highly advisable to learn how to place a stop-limit order on Binance. 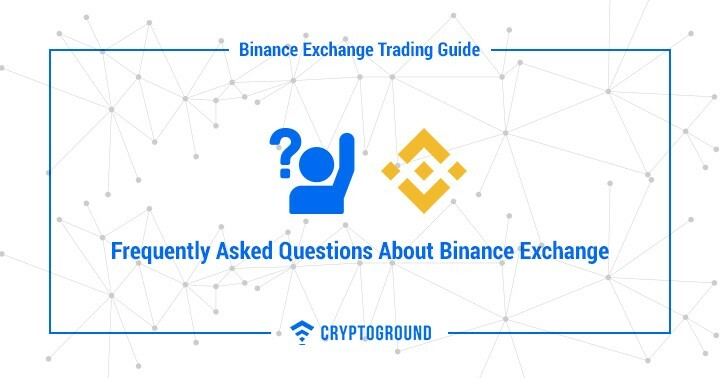 Let us now take a closer look at some of the most commonly asked questions when it comes to the Binance cryptocurrency exchange. Yes, the Binance exchange does have a desktop client - which can be downloaded from here for Windows. Earlier, the application is only available for Windows users was available. This Binance app for PC can be used to make trades as well as observe price movements quickly. The company launched this application in the November of 2017 after three months of testing. As of now, the Binance PC client for Mac can be downloaded from here. Yes, the Binance cryptocurrency exchange does have an Android app which can be downloaded from the Google Play Store. The app allows the users to easily trade on Binance using their Android smartphone and provides a safe environment for trading on-the-go. It makes it easier for people who are away from their PC to quickly access their Binance account and check their balances as well as make trades easily. Yes, the Binance cryptocurrency exchange does have an iOS app which can be downloaded from the Safari Web Browser by visiting this link from iPhone. The app allows the users to easily trade on Binance using their iOS smartphone and provides a safe environment for trading on-the-go. It makes it easier for people who are away from their PC to easily access their Binance account and check their balances as well as make trades easily. Binance is primarily a cryptocurrency exchange which also provides cryptocurrency wallet services. Any time you receive a cryptocurrency in Binance, you have it sent on your Binance wallet address. Each cryptocurrency on Binance has a unique wallet address for every user. While sending cryptocurrencies to your Binance wallet - always double check if you are sending it to the right wallet address - and for the right cryptocurrency! Yes, Binance is one of the safest platforms where you can keep your cryptocurrencies at. While no platform (including Binance) guarantees you of a 100% safety - Binance has a proven track record when it comes to keeping their digital assets secure. Hackers around the world have been targeting various cryptocurrency exchanges over the years, and Binance has been targeted in the past too. However, the company has always shown high standards of security - in a recent attack; hackers actually ended up losing money! Binance and Coinbase are both among the most significant cryptocurrency exchanges in the world and users of both these platforms claim that their platform is the best. Many traders use both these platforms. Let us take a closer look at each of these platforms and try to understand the difference between Binance and Coinbase. Coinbase is a platform which allows you to buy and sell cryptocurrencies in exchange for fiat money. Coinbase also owns a cryptocurrency exchange GDAX where it is possible to trade cryptocurrencies as well. However, Coinbase’s primary purpose is to allow users to get an easy platform where they can purchase cryptocurrencies using fiat money. Coinbase supports a very limited set of currencies: Bitcoin, Ethereum, Litecoin and Bitcoin Cash. Binance, on the other hand, has an entirely different purpose. While Coinbase is the entry point for traders to get hold of their cryptocurrencies, Binance is the place where they can trade their cryptocurrencies for other cryptocurrencies. Binance offers a much bigger arsenal of cryptocurrencies to choose from than compared to Coinbase - as Binance offers over 300 cryptocurrencies compared to the 4 that Coinbase has to offer. To sum up, Binance is a platform for cryptocurrency trading while Coinbase is one used for purchasing cryptos against fiat. Yes, Binance has a referral program - similar to many other cryptocurrency exchanges. Binance’s referral program allows you to send a referral link to friends - when they sign up and perform their first transaction - you are entitled to receive 40% commission on their trade amount if you have over 500 BNB. This is an instant commission and is reflected in your account immediately. The referral program has been running since late October - and the top three referrers have earned 177 BTC, 154 BTC and 115 BTC by just referring friends to join Binance. There are a number of ways in which you can know if Binance cryptocurrency exchange is ‘down’. Going ‘down’ means that the exchange is inaccessible over the internet. The biggest sign would be that you wouldn’t be able to access the page. However, sometimes it might be a network-specific problem so you might also take help of tools such as DownDetector.com or IsItDownRightNow.com or DownForEveryoneOrJustMe.com which would help you find out if the exchange is ‘down’. The Binance cryptocurrency exchange is based in Hong Kong. However, over the past few months, a decision has been made to move the headquarters to the island nation of Malta. 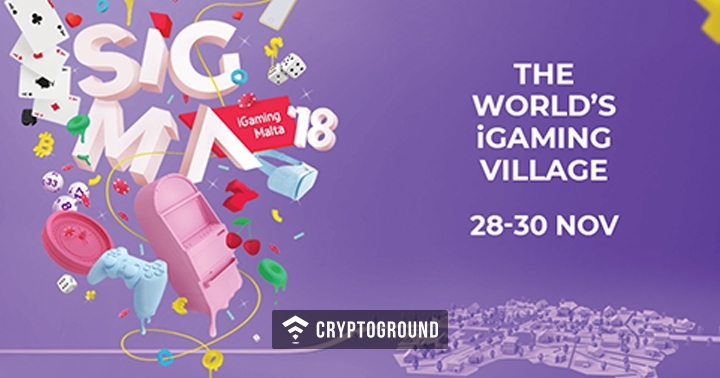 This is because Malta’s cryptocurrency and blockchain regulations are more cryptocurrency and blockchain friendly than compared to many other countries. Binance cryptocurrency exchange offers their users with the best of security measures - it offers 2 Factor Authentication using the Google Authenticator as well as via Phone Numbers. The platform also asks you to set up various security questions which you need to answer in case you want to regain access to your lost account. 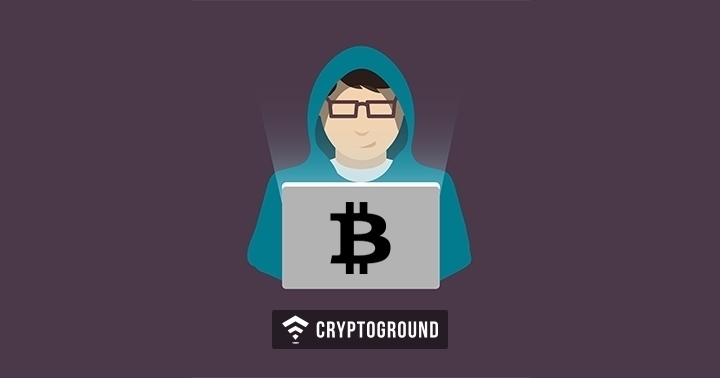 Moreover, the Binance platform has proven to be quite safe in the past - foiling various attempts by hackers to steal cryptocurrencies - with the hackers ending up losing money in their most recent attack. Binance also has a hacker bounty program. BNB is the proprietary cryptocurrency token of Binance. 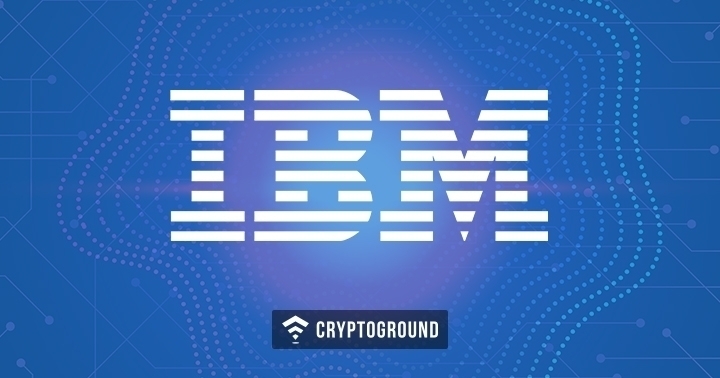 The company launched this token in Mid-July, and it is used by Binance for two purposes - primarily, customers of the exchange make use of the BNB Coin to get a discount on fees - if transaction fees is paid via BNB tokens, it is lesser than what the usual fees would be. For Binance, healthy circulation and rise in demand of the BNB Coin would mean that they keep raising funds round the year. 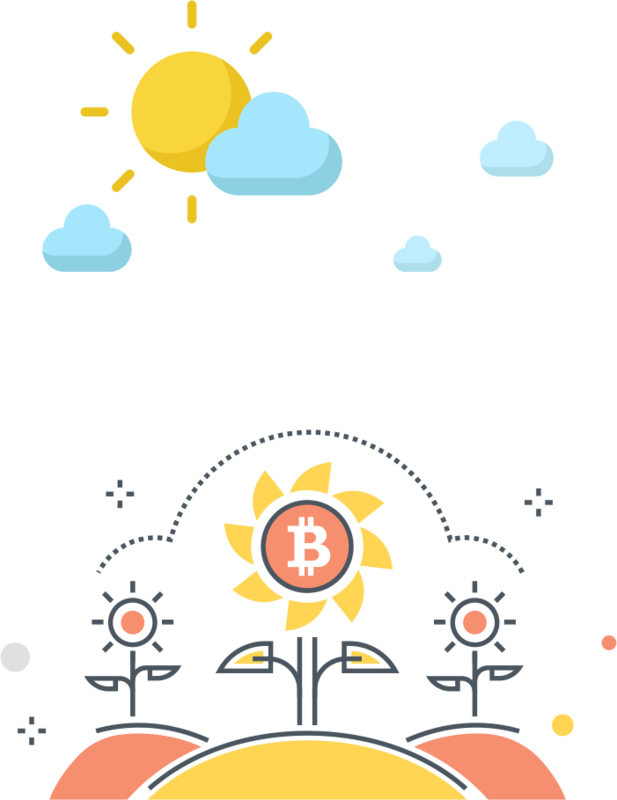 Moreover, their capital grows with the price of the BNB Coin growing. It is basically a win-win situation for the company as well as the traders. Binance does not charge you anything when it comes to depositing your currencies to Binance. 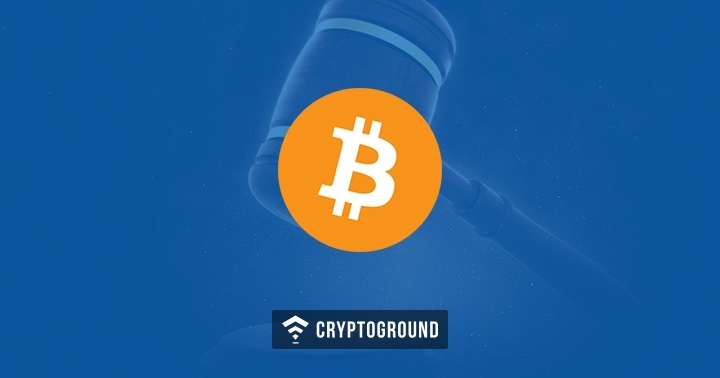 However, the exchange where you are transferring your cryptocurrencies from - Coinbase as per our previous example - may have some charges from that exchange’s end. However, Binance will not charge you any fees when it comes to deposits. The Binance Cryptocurrency Exchange charges a flat trading fee of 0.1% on all cryptocurrency trades. This fee is 0.05% for those who make use of BNB cryptocurrency tokens, and their BNB tokens are spent by default any time they are making a trade. This is why the Binance Coin tokens are so crucial as they help reduce these fees that are levied upon trading - particularly useful for frequent traders. The Withdrawal Fees on the Binance cryptocurrency exchange is not fixed - it keeps on changing based on the market fluctuations as well as the network congestion, etc. There are a number of factors that influence the withdrawal fees. As of the latest standards, Binance charges a withdrawal fee of 0.0005 BTC every time a Bitcoin transaction is made. 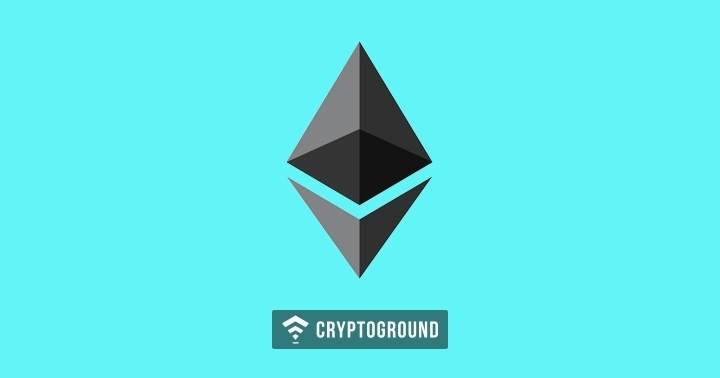 However, this number may go up or down depending upon the blockchain conditions. You can keep track of the Binance Withdrawal Fees by visiting this link. 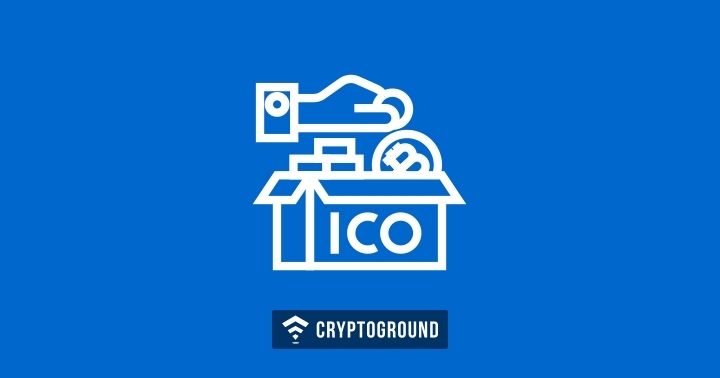 One of the most critical things that any cryptocurrency organization, particularly a cryptocurrency exchange needs is a proper support system so that users who are facing a problem can quickly get in touch with the company and get it sorted. Binance has a strong support team which is available round the clock to help their users. Users can easily send their request to Binance using this page, and the exchange promises to get back as soon as possible. 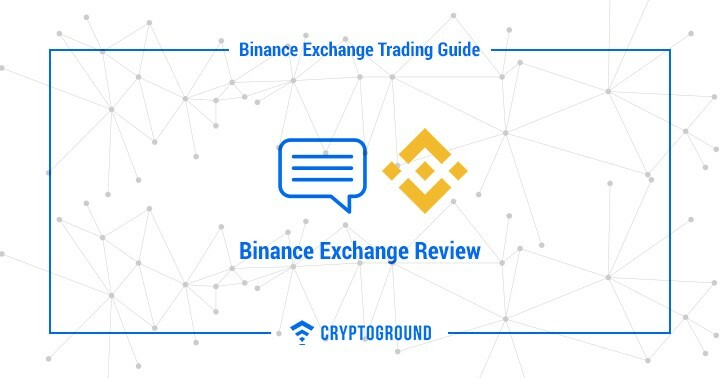 Now that you have all the details about the Binance cryptocurrency exchange - as well as how to deposit funds, make trades, automate trades and withdraw funds, let us now give Binance one final review - and take a look at the pros and cons of this cryptocurrency exchange. Let us take a look at some aspects of the exchange which make Binance exciting to use. The Binance cryptocurrency exchange is user-friendly and easy to use for first-time users. No matter if it is your first day in trading cryptocurrencies or you’ve been trading for years, the Binance platform does not feel challenging to use. It offers a simple layout which everyone can understand with relative ease. A major advantage of the Binance exchange is that the platform does not charge a hefty fee. As compared to various other cryptocurrency exchanges, fees are relatively low on Binance - moreover, when making use of the BNB token, the charges are reduced by a further 50%. In addition to these points, Binance also has a good support team which has a very good turnaround time. Compared to the scale that Binance operates at, one can almost expect the process to be slow - but this is not the case, and Binance’s support team is quite proactive. Binance offers a much wider variety of cryptocurrencies than compared to most other cryptocurrency exchanges. While some leading names offer as less as 5 to 6 cryptocurrencies - there are others which offer 50 to 60 cryptos to trade from. However, Binance offers the biggest collection of cryptocurrencies to choose from and trade - as it offers over 300 cryptocurrency tokens with new names added on a very frequent basis. Do You Know Best 5 Altcoin Exchanges and Plaforms? While Binance is one of the biggest cryptocurrency exchanges with a large number of benefits to offer - the platform also has some major drawbacks. Let us take a look at some cons of using the Binance platform. The biggest drawback of the Binance platform is that it does not offer a fiat trading system. 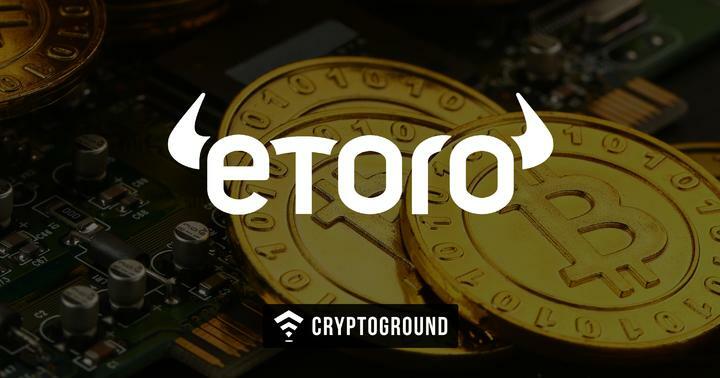 Users can use this platform only for the purpose of altcoin trading, and it is not possible to sell currencies directly for cash or to deposit coins in exchange for cash on Binance. Users have to make use of other platforms such as Coinbase to deposit or withdraw fiat money. The second major issue that Binance customers tend to face is that there is no on-call support for Binance users. While many see this is as a drawback - this is where the tech industry at large is moving. Customer support over chat and email is improving with every passing day and while Binance has an excellent customer support system, the platform’s lack of on-call support continues to be a disadvantage for those users who prefer it that way. As a platform, Binance will soon complete a full year in the markets. It has been around since July 2017 and in one short year that it has been around, Binance has defied several odds and has proved to be a highly successful name in the markets - even becoming the largest cryptocurrency exchange by daily trade volume. Binance also has several other records to its name - it is the fastest growing unicorn startup of all times (and in all sectors). The Binance platform has made use of some innovative strategies such as introducing their own BNB cryptocurrency token to raise funds. With hundreds of thousands of users joining the platform amid the crypto-craze, Binance has proven to be a long-term player in the cryptocurrency industry. Binance has also proven the fact that it is not just the largest cryptocurrency platform but also an ‘industry leader’ in the world of crypto technology. Binance has successfully defended their platform against hacker attacks - and has started off with a bounty initiative where it has invited a number of other exchanges as well. The company has been tying up with governments across the world such as those of Bermuda and Malta - establishing its global dominance. 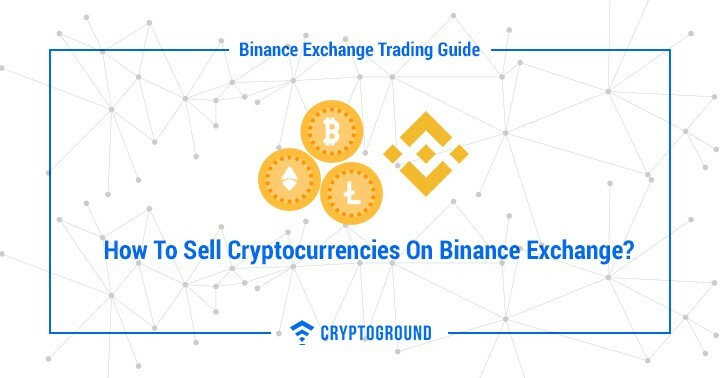 We hope this guide to the Binance cryptocurrency exchange helps you understand the platform in a better manner and helps you in making well-informed decisions when it comes to trading cryptocurrencies on Binance. 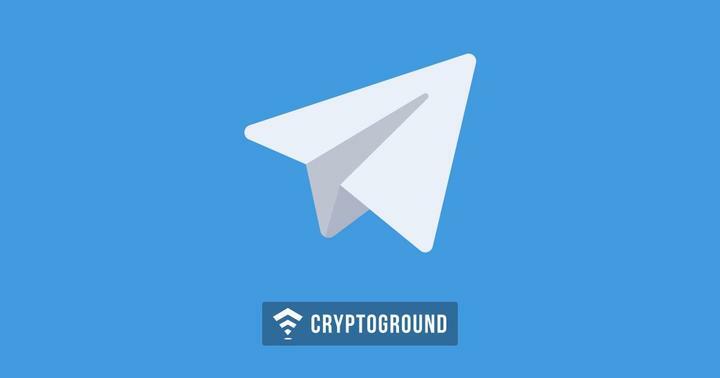 Stay tuned with us on CryptoGround for more such guides and all the latest news updates from the world of cryptocurrency. 12.2 How to Create an Account on Binance? 12.3 How to Secure Binance Account with 2FA Security? 12.4 How to Verify Binance Account? 12.5 How to Deposit Funds into Binance Exchange Account? 12.6 How to Transfer Bitcoin or Any Cryptocurrency From Coinbase to Binance? 12.7 How to Trade Cryptocurrency on Binance Exchange? 12.8 How to Buy Cryptocurrencies on Binance? 12.9 How to Sell Cryptocurrencies on Binance? 12.10 How to Buy Bitcoin on Binance? 12.11 How to Withdraw Funds (Bitcoin, Ethereum or Altcoin) from Binance Exchange? 12.12 How to Set Limit and Stop-Limit Orders on the Binance Exchange?